Over 100 years ago, in 1910, in a small agricultural community called Laton, my wife’s great grandparents purchased 21 acres of land. Here in the fertile San Joaquin Valley of California, they planted apricot trees. The fruit was picked, cut, and laid on wooden trays to dry in the sun. As time went by, the family’s farming became more diversified. A small dairy operation was started. Eventually more land was purchased and leased where they farmed cotton, alfalfa, walnuts, apricots, wheat, and corn. Their farming took them from Laton to Visalia, and on to Bakersfield. I was born in Ventura, California, where my grandparents were real estate brokers in the 1950s. I grew up in Morro Bay, where I went through high school and attended Questa College and Hancock College. I also spent time working for Madonna Construction in San Luis Obispo. 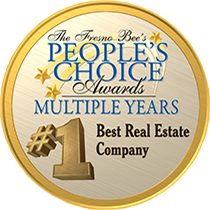 I am involved in the California Central Valley as well as Central Coast real estate. In 1977, I joined my wife and her family here in Laton. Currently, my wife and I and our son are farming almonds and Thompson seedless grapes. The grapes are on the original 21 acres that were purchased in 1910. I have a vast supply of knowledge and resources on hand to help with your real estate needs. Tell me what they are, whether buying or selling, so I can help you.